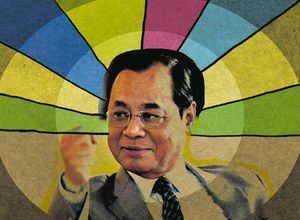 The Ranjan Gogoi-led Supreme Court has sprung several surprises, starting from the style of functioning of the chief justice of India himself. One of his predecessors, S.H. Kapadia, was famous for the promptness and exactness in dealing with cases, especially public interest petitions. Kapadia, a no-nonsense judge who specialised in taxation matters, made it clear that he had no time for private agendas masquerading as PILs. Court Hall No.1, where the chief justice sits, would clear up quickly as Kapadia dealt summary decisions on what he thought were frivolous or diversionary petitions, and would impose fines on petitioners whom he thought did not have public interest as priority. He was severe on serial petitioners, who would read the morning headlines and fashion a PIL. Gogoi has also brought in equity in terms of urgent mentions, not giving priority to veterans of the bar, to whom other judges defer at least in the matter of giving an immediate hearing. Gogoi, who will be chief justice when the country goes through a general election, is a man in a hurry. He has already imparted urgency in the matter of filling the large number of vacancies in high courts and the Supreme Court by engaging the government. He wants the Narendra Modi government to clear all pending recommendations for appointment of judges, especially as the prime minister has a tardy record in filling the vacancies in tribunals. There are also expectations that Gogoi could implement the memorandum of procedure on appointments to higher judiciary, on which the Modi government has been dragging its feet, ever since the Supreme Court quashed the National Judicial Appointments Commission Act. The chief justice has also gone after state high courts to speed up appointments to subordinate judiciary, an issue highlighted by this magazine recently. There had been chief justices of high courts who gave the highest priority to clearance of pending cases in their courts like V.S. Malimath of Karnataka and Kerala High Courts, and Swatanter Kumar of Mumbai High Court, who later became judge of the Supreme Court and chairperson of the National Green Tribunal. Malimath headed a high-power committee to recommend reforms in the criminal justice system, and many of his recommendations have found their way into the statute books. Gogoi’s predecessor Dipak Misra gave high priority to dispose off a good number of Constitutional matters, presiding over a majority of the benches himself. There were major judgements given on issues which included validity of Aadhaar law and subjects of faith. Gogoi, as master of the roster and chief administrator, has talked about bringing institutional changes, and he might consult those who could become chief justices after his retirement in November 2019, like justices Sharad Arvind Bobde, N.V. Ramana, U.U. Lalit and D.Y. Chandrachud. Such consultations are required, as well as a broad agreement on issues of appointment of judges, speeding up trials and disposal of pending cases. Then only can the courts clear the mountains of arrears pending at different levels. Such consultations would also end the current practice where each chief justice leaves his own stamp on the administration, which need not be taken up by his successor. It is an exciting period for the Gogoi court.